I love organic products because they are better choices- better for the environment and better for us. 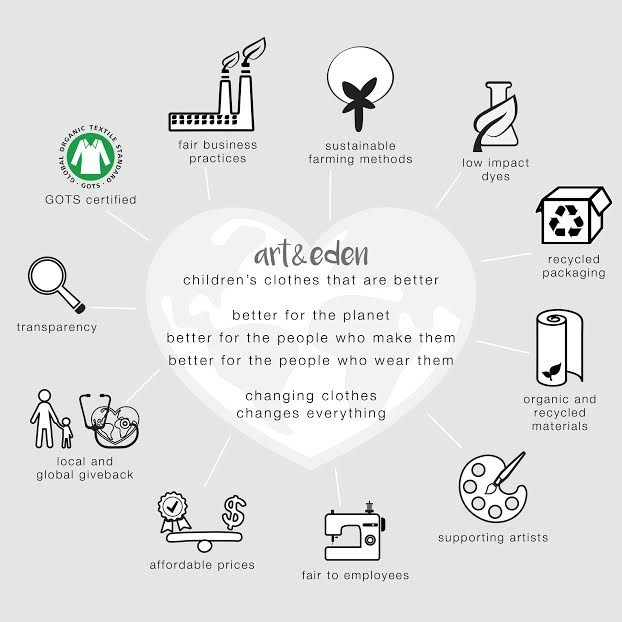 Naturally when I heard about an organic children’s clothing company that is making a big difference, Art & Eden, I was happy to partner with them. Art & Eden is a sustainable kidswear line that is designed in collaboration with artists around the world. It is also organic, sustainable, charitable and super cute! Today, I will be sharing an Art & Eden Review of their organic children’s clothing that they provided as well as a giveaway. 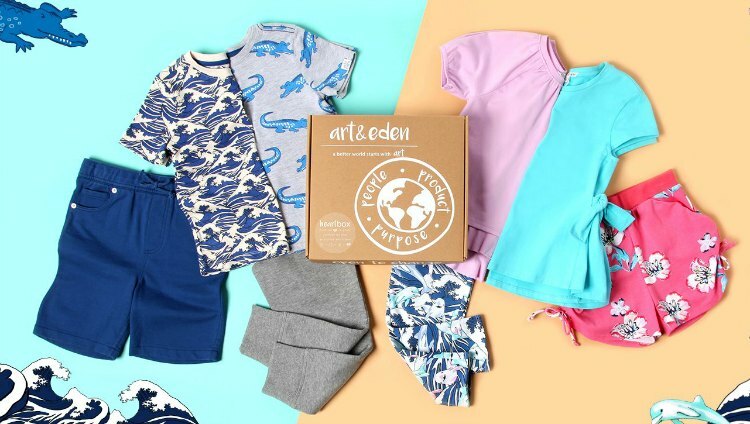 Art & Eden offers organic children’s clothes for boys and girls (Ages 5-10), organic toddler clothes (2T-4), and organic infant clothing (3mths-24mths). They also offer what they call a heartbox and I suggest you be sure to check those out because they are super cute curated outfits at discounted prices. Explore those options at artandeden.com/collections/heartbox. The Art & Eden brand was founded by female entrepreneur Susan Correa. After having worked in the fashion industry her entire life and leading multi-million dollar operations all over the world she started to look into ways to make business have more of a soul and a purpose. She created Art & Eden organic children’s clothing as a business where everyone one wins- a business that is better for the planet, the employees, the charity recipients, and the children who wear the Art & Eden organic kids clothes. 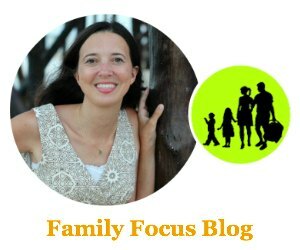 First, I am going to give you a little peek into the Art & Eden organic children’s clothing that I chose for my kids to review. Then I will give you more details about the awesome ways that these organic kids clothing are responsible shopping that is better for everyone. For my son, I chose a comfortable knit outfit that will serve him well for spring and summer. 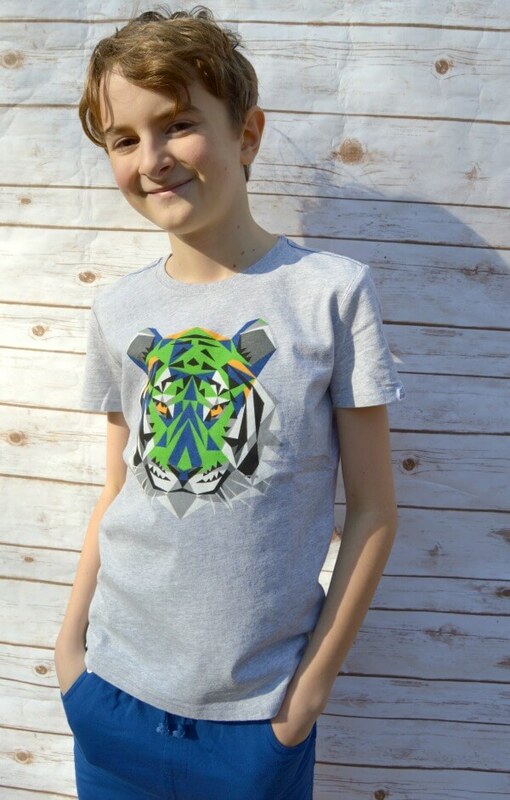 The Logan T-shirt is100% organic cotton clothing and it celebrates the endangered tigers and my son loves the cool art work. The Anthony Short is made out of 100% organic cotton french terry and they are a super comfortable cut. The elastic waist makes sure they fit him perfectly and are comfortable for playing. They also have handy pockets for stashing his finds. He loves his new organic kids clothing outfit. Art & Eden Clothing Fit Tips For Boys- My son is 11 but skinny so the size 10 shorts fit him perfectly and so did the size 10 shirt. For the girls, the Art & Eden organic designer children’s clothing has lots more styles and details as you might expect. My daughter chose the an Emily Tie Tee with a cute and comfortable sweatpant. The shirt has a stylish cut that dresses it up while still being a 95% organic cotton, 5% spandex fabric that keeps it super comfortable like a t-shirt. The sweatpants are 95% organic cotton, 5% spandex and they are super soft with white speckled detail and cute zippers on the pockets. Sierra likes the artistic flower print and is very happy with her comfortable organic kids clothing outfit. Art & Eden Clothing Fit Tips For Girls- My daughter is 12 but very petite so the size 10 pants fit perfectly and so did the size 10 shirt. Visit artandeden.com to shop the full selection @artandeden and #buybetterdobetter! Enter for a chance to win one Art & Eden organic children’s clothing outfit of your choice up to a $75 value. Open to residents of the USA, 18+. Email entered into the widget will be kept private. Winners announced above in the Gleam widget on April 3, 2018. Winner will be selected randomly. I will notify by email and winner must respond within 4 days or the prize will be forfeited and alternate winner will be chosen. 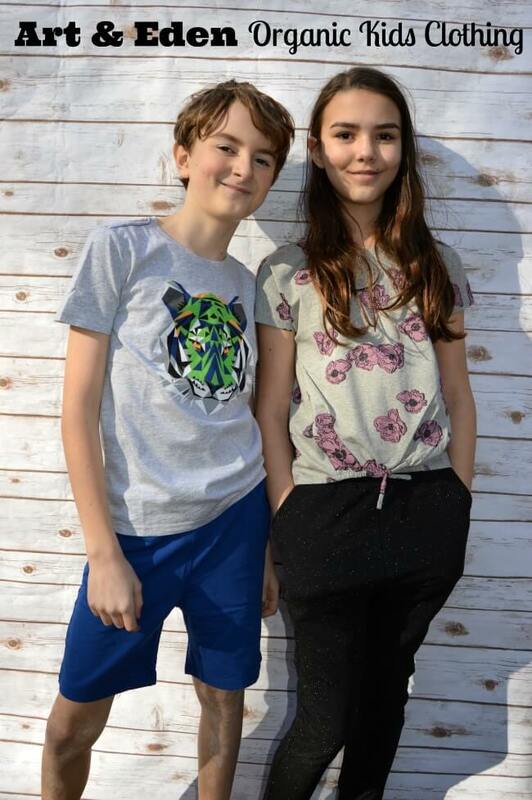 Do you like organic children’s clothing? What is your favorite clothing piece from Art & Eden? What about their business model appeals to you the most?